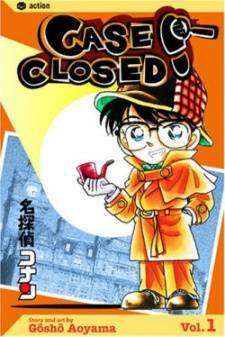 Scenario: Ran is invited to attend a Valentine's party by a young man and a jealous Conan follows her. During the party, Keenan the party host, is poisoned and dies. Conan investigates and discovers that Keenan was poisoned from the coffee served. Conan uses his newly acquired tranquilizer dart wristwatch to knock out Kogoro and then uses his voice changing bowtie to impersonates Kogoro. 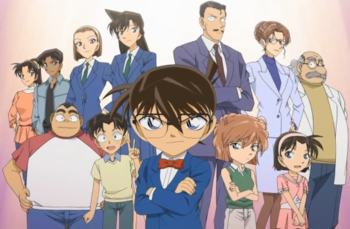 Through Kogoro, Conan reveals that Keenan's adopted mother murdered him for the insurance money. She put poison in the coffee served to everyone. The cake everyone except Keenan ate was the antidote to the poison. The adopted mother reveals she needed the money in order to save the family house after her husband's business failed. Later, Ran holding a box of chocolate for Shinichi, decides to eat it with Conan.